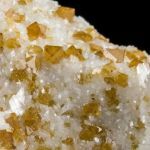 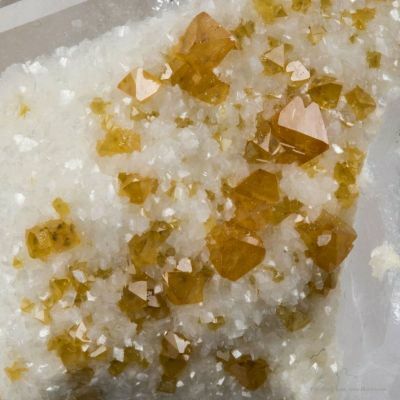 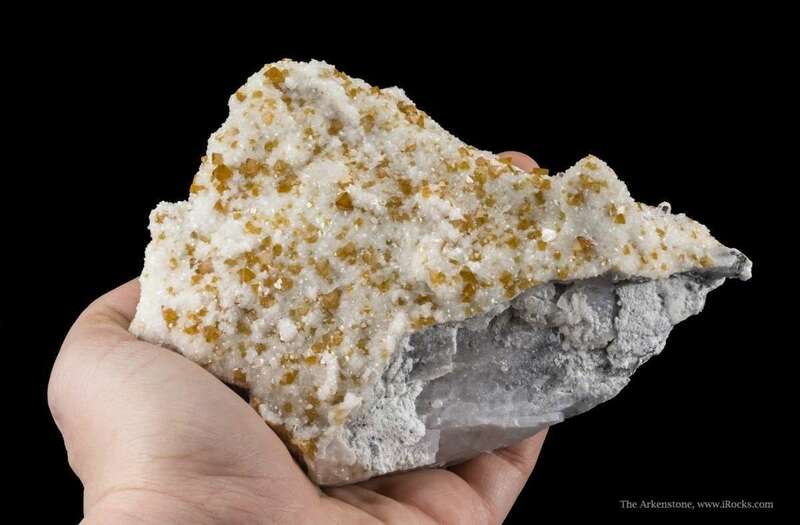 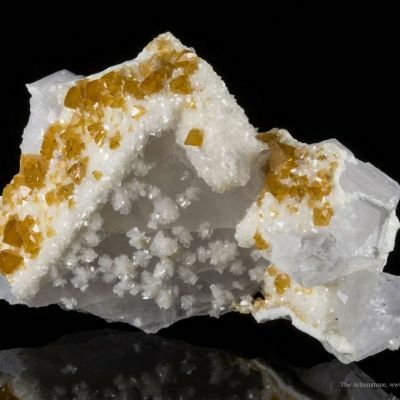 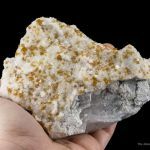 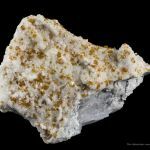 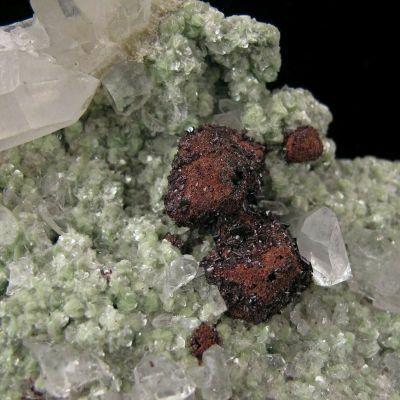 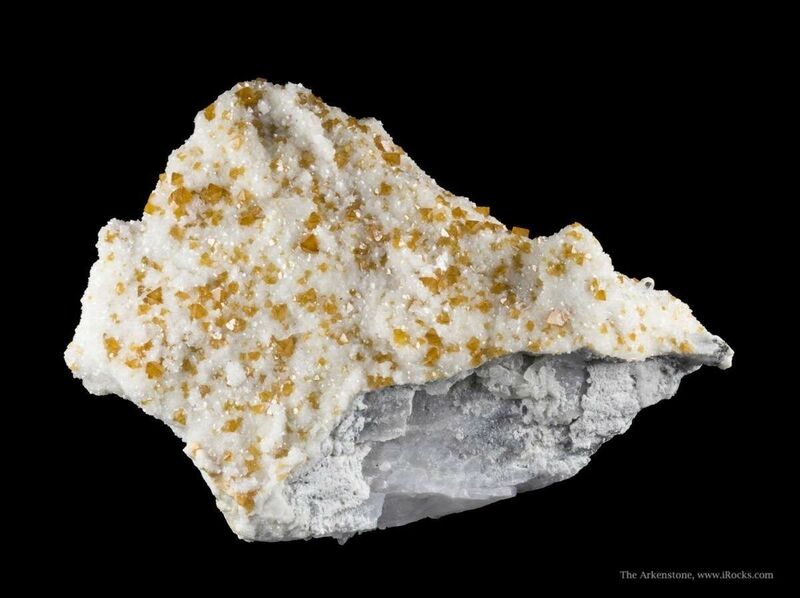 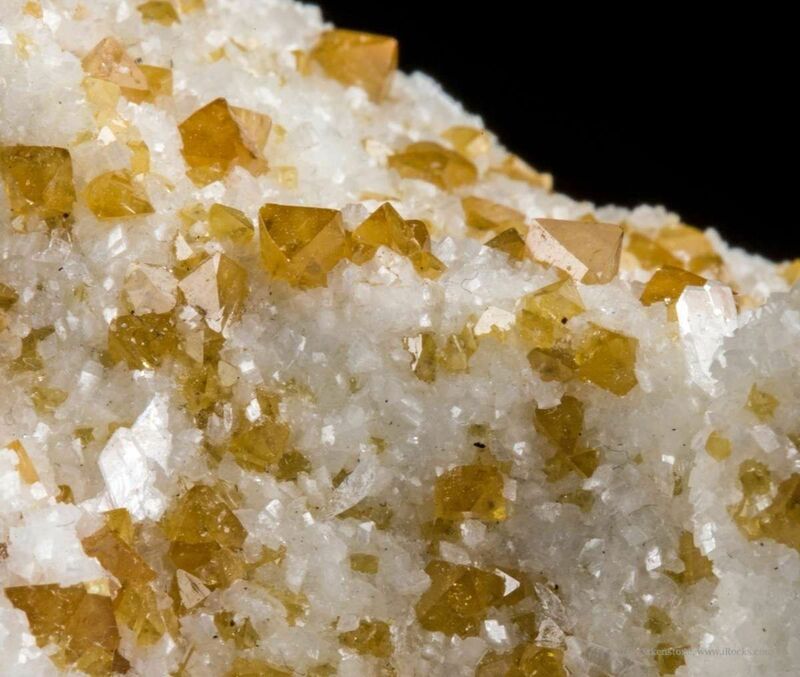 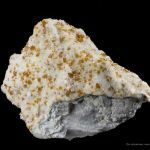 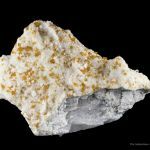 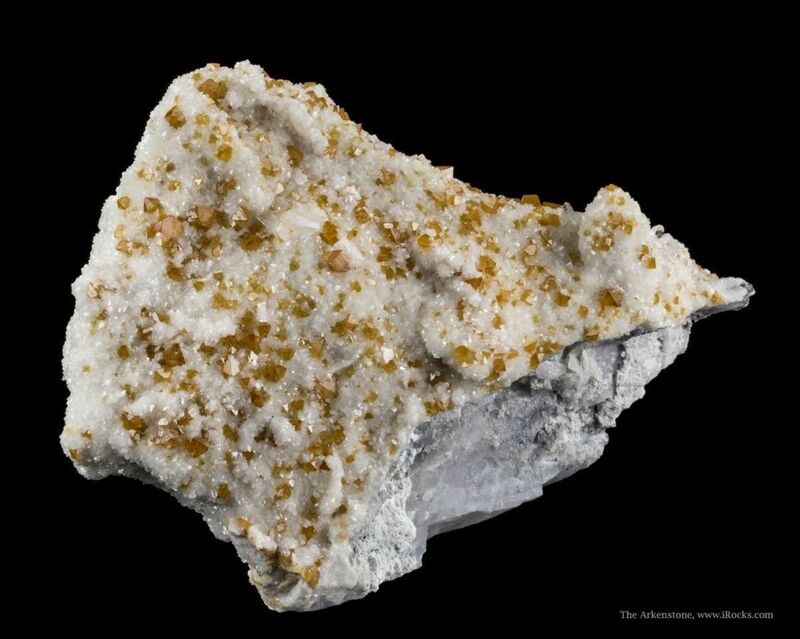 Emplaced on quartz is a thin crust of lustrous, drusy, white dolomite upon which are sprinkled perhaps a hundred lustrous and translucent, orange colored crystals, to 3 mm across, of scheelite. 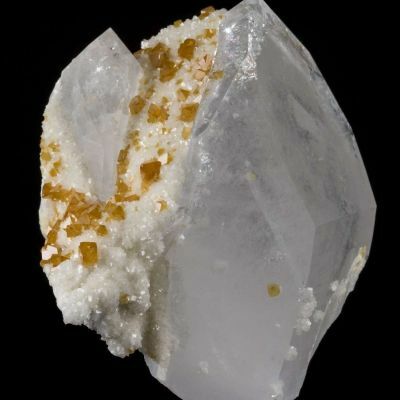 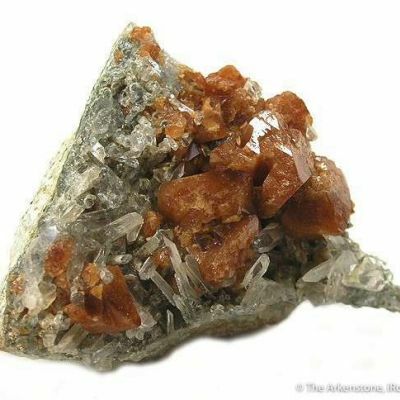 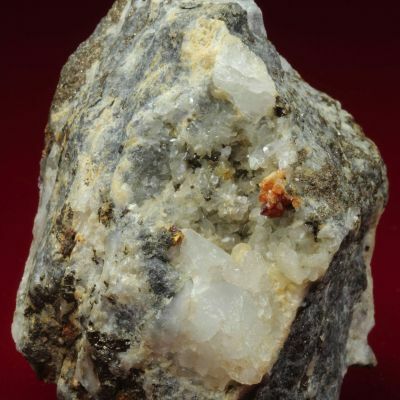 A single gemmy, colorless quartz crystal, measuring 9 mm in length, pokes out from the dolomite. 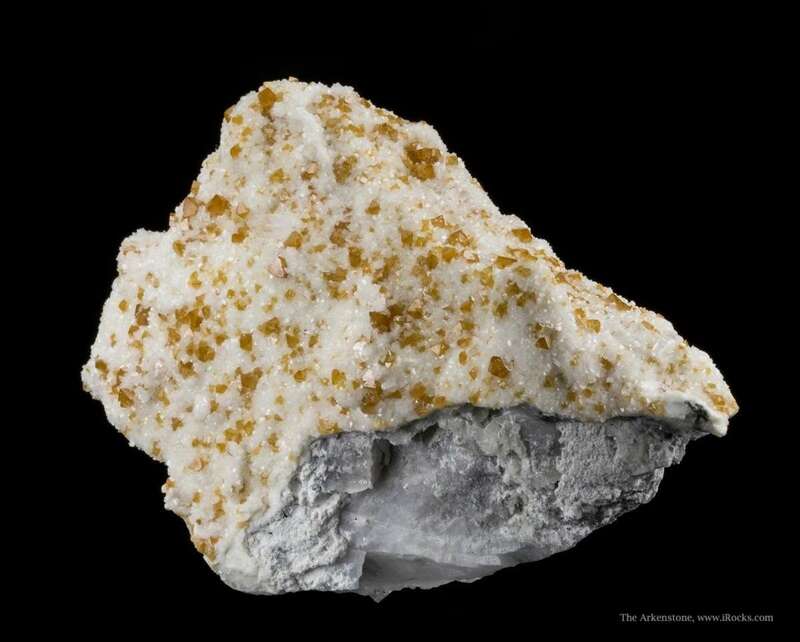 More is on the backside.